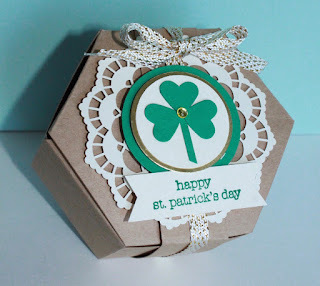 Just Julie B's Stampin' Space: St. Patty's Day 'Window Box' Treat for Classes this Week! St. Patty's Day 'Window Box' Treat for Classes this Week! 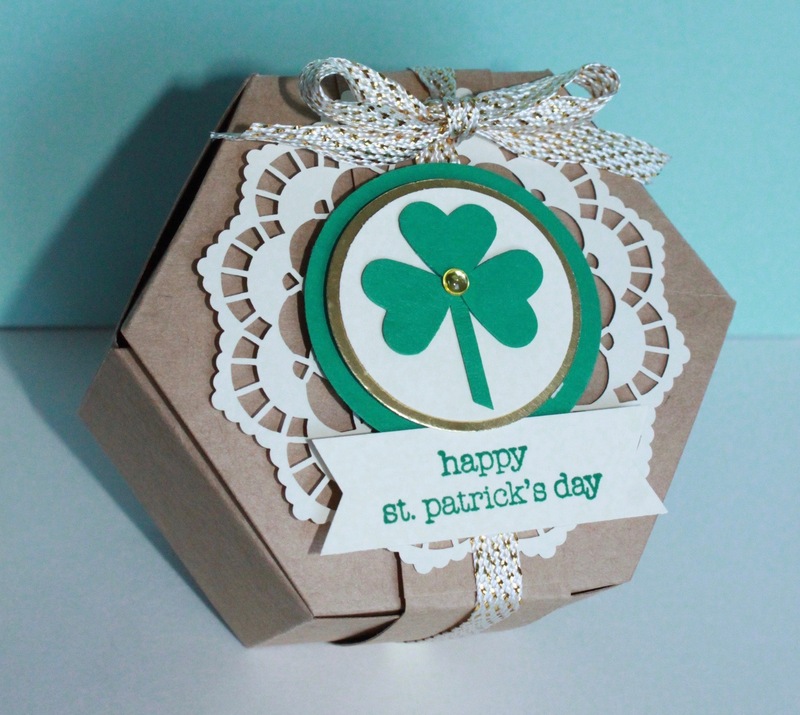 This sweet little box is what we'll be making in stamp classes this week! It is made with the Window Box Thinlits Dies. So I just made the basic box - without any 'windows'. The window choices are super fabulous, but for class I just wanted to make the basic box first! 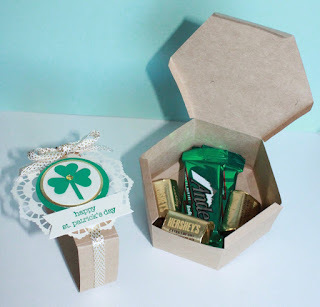 But then I did add my own touches to cutsie up the basic box for a St. Patrick's Day treat! Of course, you can add so many things to it - but probably my favorite part is the new Lace Doilies! - Perfect size for this box and soo pretty! Birthday Bonanza - with Creation Station! Valentine Gift Box for Class!